Is Self-Driven Car The Future Of Automobile? However, Audi's breaking the news with its RSQ E-Tron autonomous car in the new Will Smith's animated film Spies In Disguise. 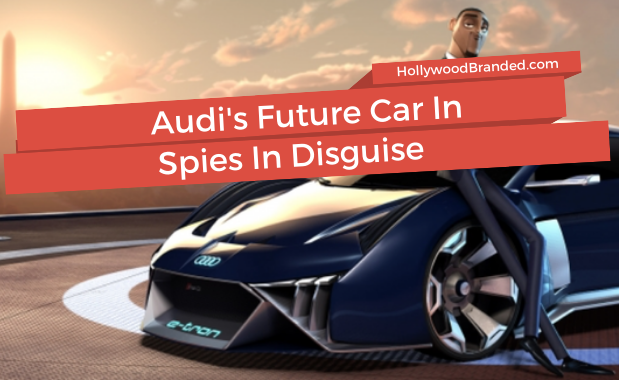 In this blog post, Hollywood Branded discusses Audi's animated product placement in Spies In Disguise and shares some tips about product placements in animated films. If you were excited about the spherical-wheeled autonomous car RSQ in the movie I, Robot, prepare yourself for it's upgraded version in Spies In Disguise. While Tesla's leading the trend in electric cars, Audi has cultivated its idea of the combination of both electric and autonomous vehicles. In September 2018, Audi released the reservation platform for Audi e-tron, which is its first electric SUV, and the "spy automobile" we see in the Spies In Disguise trailer is their concept called RSQ e-tron. On November 1, 2018, Audi announced its deal with Twentieth Century Fox to feature this newly-conceived concept. According to Roadshow by CNET, the idea is that RSQ e-tron would be "a fully battery-electric vehicle with artificial intelligence and transformational capability..." To further illustrate its concept, Audi implemented the concept of RSQ e-tron with "state-of-art digital visualization techniques". 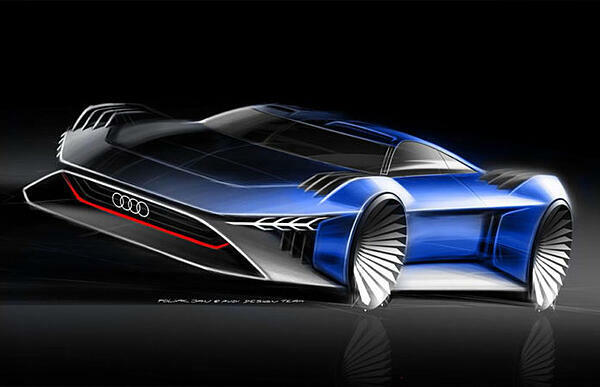 Why Did Audi Integrate Its Concept Car In An Animated Movie? Ever since a self-driving car operated by Uber killed a pedestrian in Arizona, consumers have rightfully had concerns about autonomous cars. According to Gallup, only nine percent of American said that they would immediately buy a self-driving car if it's certified by regulators, while fifty-two percent said they would never use one. By integrating Audi's idea of an electric autonomous car, customers will become more familiar with this concept, and therefore less afraid of it. A tactic that makes perfect sense, as the more customers are exposed to a concept, the more accepting they will become of it. This practice is called truth effect, which infers a statement must be true because it has been repeated over and over again. In fact, Audi's not alone in promoting autonomous cars. Earlier this year during the Oscars, Cadillac ran a commercial that featured their hands-free driving technology along with clips from Knight Rider, The Jetsons, Back To The Future, Minority Report, Speed Racer and Blade Runner. It's not as uncommon as you think to see product placements in animated films. An example is Ralph Breaks The Internet. 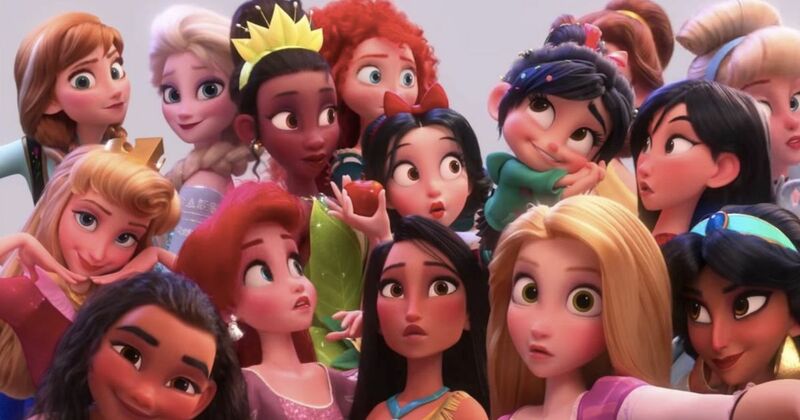 Remember how, magically, all the Disney princesses appeared in one of the trailers? While this might not seem like an actual product placement, Disney is placing its own brands (AKA its princesses) in the film. Next time when your brand has some innovative ideas, consider the possibilities of working with an animated film. Want to learn more about product placement and the way it can help increase your brand's awareness? Check out these other blog posts we've written on the benefits of this advantageous entertainment marketing strategy. Want to take your knowledge of product placement a step even further? Check out our free Product Placement & Promotions 101 e-book!